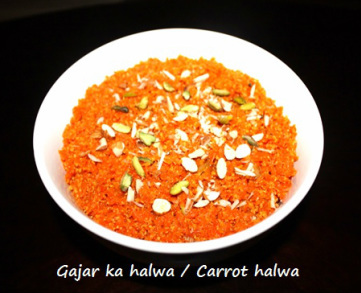 Carrot halwa is also known as Gajar ka halwa. It is one of the most popular traditional North Indian desserts. 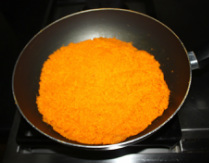 Gajar ka halwa is especially made during winter months when red carrots are available in abundance. 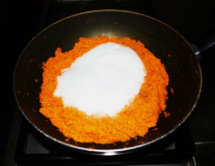 Gajar halwa is made with Red or Orange color grated carrots and milk or Khoya (ricotta cheese). Carrot halwa does not require much butter or ghee nor there is frying involved, so you can treat yourself with this sweet without feeling guilty. 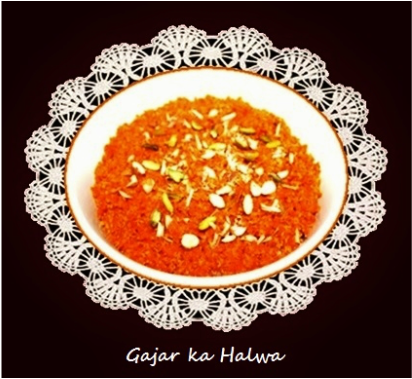 Gajar ka halwa can be served hot or cold as a dessert or a snack. 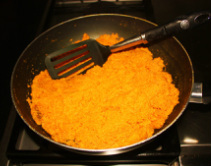 Carrot halwa is popular choice at most Indian weddings and other special celebrations, but you can enjoy this dish on any occasion or any time you like to eat sweet. 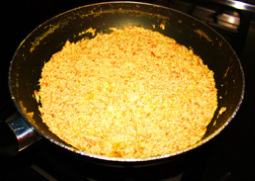 There are various recipes to prepare carrot halwa. If you are watching your calories then use fat free ricotta Cheese or fat free milk, add some nuts and make it a healthy tasty dessert. 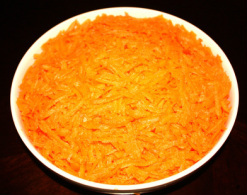 You can make carrot halwa in advance and keep in the refrigerator for more than a week. processer or manually with the grater. moisture, it takes some time to evaporate. 3. Once all the liquid has cooked away add crushed cardamom seeds and saffron and mix and cook. 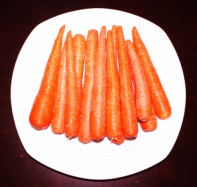 Add sugar and mix with carrots. The Sugar will cause the carrots to take out more liquid.Continue to cook on low heat for 10 to 12 minutes or until all the liquid dry up, while stirring periodically. Sugar also gives the shiny color to halwa. 4. Once all the liquid dry up, if you wish add 2 tablespoons of liquid sweet butter or ghee, mix and add walnut and raisins, cook for another 5 minutes, once you start seeing the oil in the pan and side of the pan start cleaning turn the stove off. 6. Serve halwa hot or cold or at room temperature. 1. Ricotta cheese is a substitute for Khoya. It is also known as Mawa. 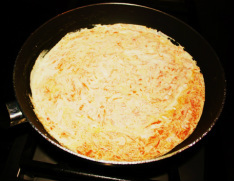 It is difficult to find khoya outside of India but you can substituteit with ricotta cheese. 2. Instead of ricotta cheese, ½ gallon whole milk could be used to make halwa. 3. If you are watching your calories use fat free cheese and sugar substitute. Please take the time to let me know what you think about my recipe. Your comments would be helpful to me to improve the recipe..